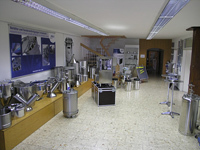 BOLZ INTEC, based in Argenbühl-Eisenharz, specialises in manufacturing round products such as stainless steel drums, pressure vessels of differing volumes, transport containers and agigator vessels. In-house construction with experienced emplyoees that concept, plan and develop products according to customer specific requirements. 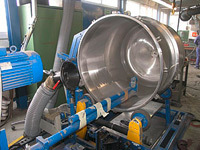 These include, for example, vessels for pastes or liquids, transport containers for hazardous goods, drums for the storage and transfer of materials, suction hoods for dust-free contsainer filling, and many others. BOLZ INTEC’s high standard of quality is made possible by our in-house design department and modern production methods, as well as skilful craftsmanship and know-how. Experience counts. With this many years' of comprehensive knowledge in the processing of non-rusting stainless steels, aluminium and special materials such as Hastelloy, BOLZ INTEC’s has become a specialist. This has been made possible by, among other things; our employees' wide-ranging capabilities and skills. 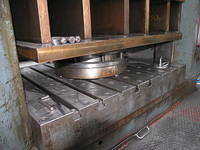 With its high-quality machinery BOLZ INTEC’s offers maximum production depth. 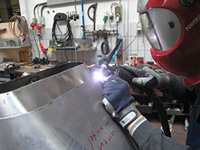 We can carry out all production steps and laser labelling ourselves in Argenbühl. 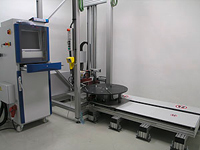 BOLZ INTEC thus ensures the quality of its products and is in a postion to react to customer requirements with great flexibility. the company founder Alfred Bolz laid the foundations for a successful medium-sized company. 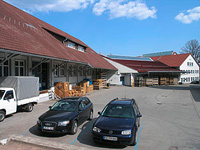 In its first production plant in Wangen, the company began by producing bulk containers for the food industry in a 1,000 m2 space. 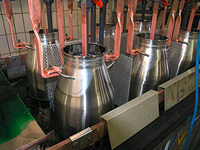 the production of milk tanks - mainly for the German market - began in Eisenharz. 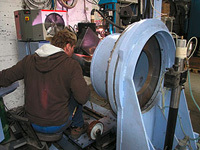 a broad-based, high-quality range of products was developed and produced for the food industry. By now, the company was supplying an international clientele.